It was so easy and convenient. Will definitely use again. Let Maple Parking take the stress out of your airport parking with its easy to use parking service at Edinburgh Airport. You’ll get to skip the transfer bus and stroll straight to the terminal while your car is parked in a nearby secure car park. The ideal service for those short on time, travelling with heavy bags or with young children. With this parking service there’s no need for airport transfers, it’s just a short walk to the terminal building. There’s no need to worry about your car while you’re away, it will be parked in a nearby secure car park that features 24-hour CCTV and perimeter fencing. This parking service is ideal for customers who may require extra assistance. 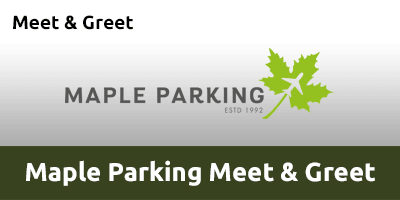 Maple Parking operates in-line with all flights flying to and from Edinburgh Airport. Take a ticket at the barrier and wait for it to lift. Proceed into the car park and follow signs to the Pick-Up Zone. Head to the right corner where a uniformed driver will meet you. Hand over your keys and then it’s just a short walk to the terminal. After collecting your luggage and clearing customs, please call the number provided to let us know and your car will be delivered back to the Pick-Up Zone where you dropped it off. Head to the meeting point (Pick-Up Zone). A driver will meet you and return your car to you.